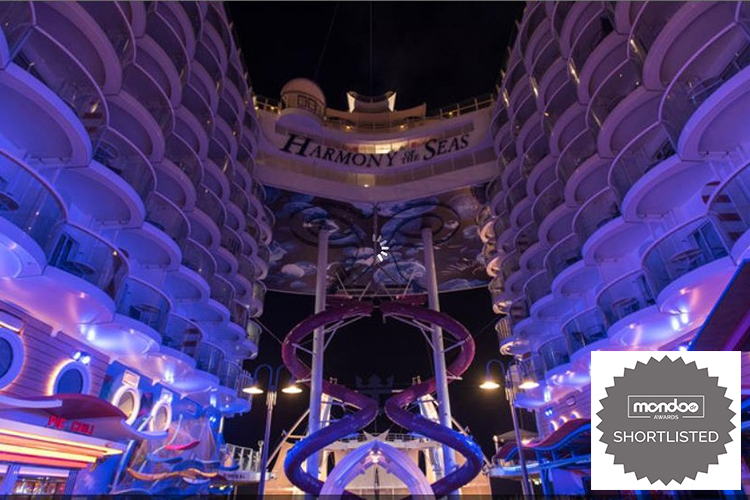 The largest cruise ship in the world, Royal Caribbean International’s Harmony of the Seas, set sail with a large energy-efficient Elation Professional LED lighting package used in the ship’s main entertainment and relaxation areas. Built by STX France in Saint-Nazaire, France, the 5,479-guest ship is an environmentally friendly ‘smartship’ in which energy savings and energy efficiency take priority. Sound, light and stage technology for many of the public areas onboard was installed by VIDELIO-HMS, including engineering and commissioning. 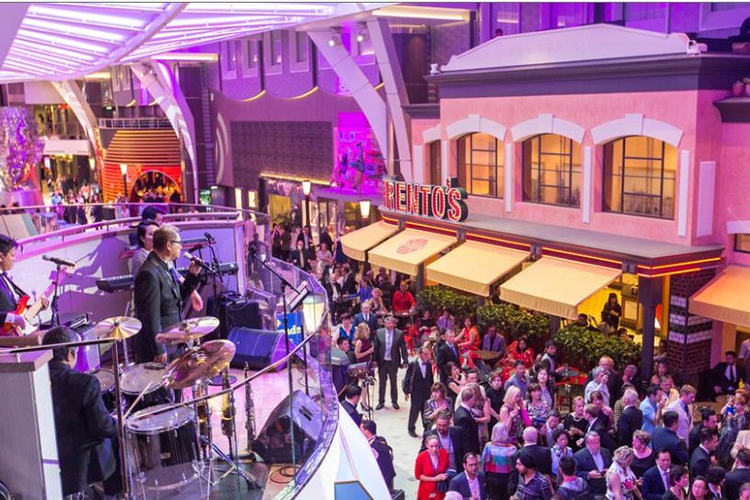 Christopher Vlassopulos, Superintendent SLVR & Architectural Lighting for Royal Caribbean International, coordinated the design and specification for all the entertainment equipment in Harmony of the Seas’ public spaces, including the ship’s entertainment lighting systems. “This ship is really a testament to how far LED technology has come since Allure of the Seas launched seven years ago,” he said. 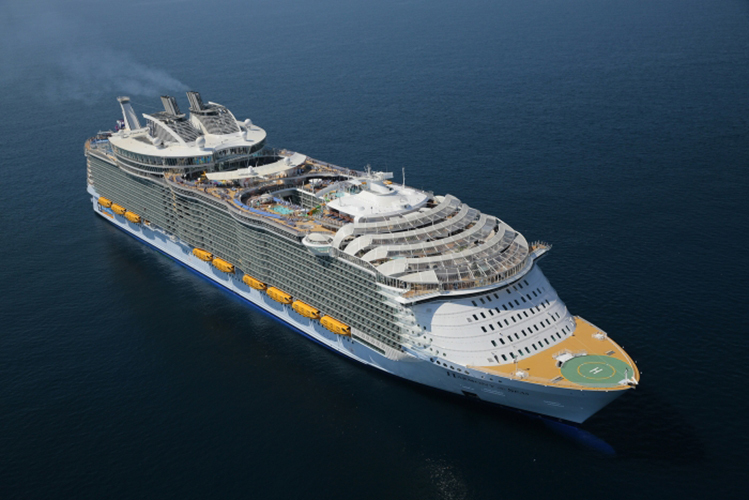 “The directive of no incandescent lamps onboard and no lamp changes means we realize millions of dollars in savings over the lifetime of Royal Caribbean ships. By switching from incandescent to LED we benefit from less maintenance and less power used, and with less heat generated there is a lower burden on the air conditioning system which translates into power and fuel savings. The dollar savings over the lifetime of a ship is quite significant.” There is also less cabling, fewer connections to contend with, and there are no dimmers to work with. The real advantage with technology is that it gives us more flexibility.” Another factor that shouldn’t go unstated is the fact that the Elation products must also hold up to the harsh environment onboard a ship – the constant motion, exposure to salt water, humidity and high temperatures. 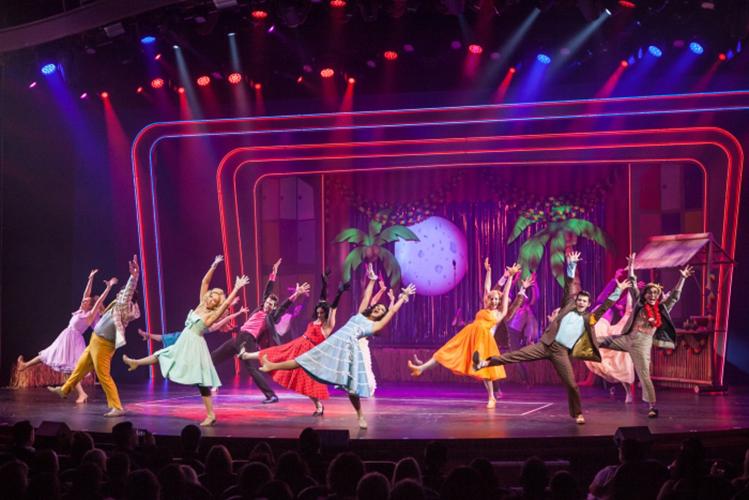 Energy-efficient LED lighting systems can be found across the ship including in the Royal Theater, Studio B ice rink, Royal Promenade, AquaTheater, Boardwalk, FlowRider surf area, Solarium, and the pool area, as well as a host of other onboard clubs, bars and lounges. Harmony of the Seas sailed western Mediterranean cruises over summer 2016 before crossing the Atlantic, where she now sails seven-night eastern and western Caribbean cruises originating from Port Everglades, Florida.